It’s classic, timeless, and goes with everything, yes, I am talking about denim jackets. Today’s blog post is dedicated to the ultimate ways how to style denim jacket in real life. This classic wardrobe staple will definitely suit your favorite looks, as it goes with absolutely everything, except evening gowns, but you never know if you wont try it, right? Personally, I recommend to use it as a finishing touch to your favorite summer beach looks, as well as smart-casual outfits. The ways to wear it are countless. I am more than sure that jean jacket will never go out of style, as it can be styled in so many different ways. Keep reading to learn best outfit ideas with this functional topper. A pretty black-white striped dress is completed thanks to denim jacket, quilted big shoulder blue leather bag and strappy stiletto sandals. If you are looking for a perfect topper to complete your urban, sporty or office style outfit, then you should give a try to a denim jacket. 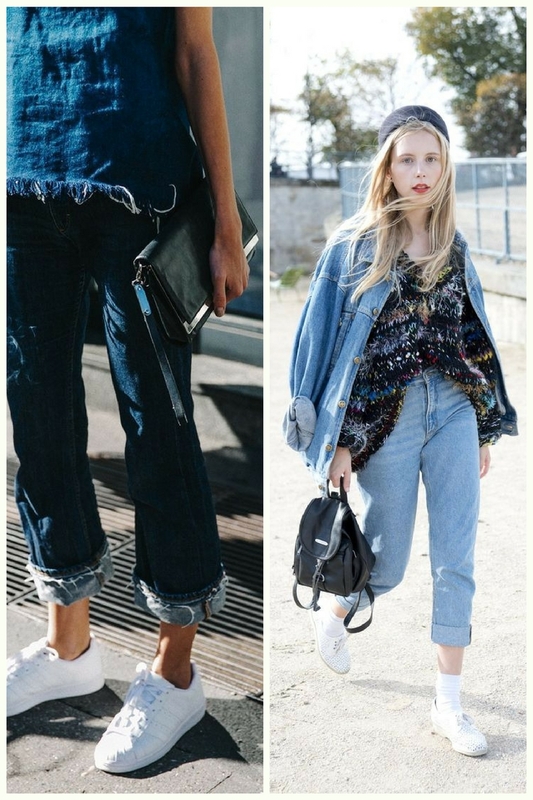 In today’s article we are about to see best ways how to wear denim jacket in your everyday life. There are plenty of stunning jean toppers to try out this year, all you need is to use just a bit of your imagination to create a stunning look for your walk on the town. No matter what is the season behind your door, there are so many inspiring ideas how to wear jean jacket. Believe me, it’s all in the details, so you better keep things creative and pair this outerwear piece with bright florals, edgy leather pants, sporty leggings, 1970’s inspired front buttoned skirts, etc. In other words saying, you can wear them with literally anything. Washed dark charcoal denim jacket is worn atop lightweight sweater and paired with slim jeans. You can complete this outfit by adding camel brimmed hat, boho accessories and slouchy black leather shoulder bag.